When analyzing how many companies conduct the interview process we find that certain elements are broken. Even the most successful companies who pride themselves on how they conduct their interview process fail to answer many key questions. With that in mind, what’s the best way companies should conduct their interviewing process? How should you record the thoughts of each interviewer? How many folks need to be involved? Is it easier to just let interviews happen organically as opposed to sticking to a regimented process? This is why devising a proper interview process can be difficult for so many organizations. It seems like there are millions of ways to interview and a hundred different schools of thought on the proper approach. Here at Klein Consulting, we’ve been compiling structured interview processes for Fortune 500 companies for over 30 years and many of the results of our analysis have become adapted as the standard of how interviews are conducted today. A structured interview process create consistency and a way to accurately interview and assess candidates through: Standard questions Standard ratings Standard training Standard process And an agreed understanding of the candidate requirements. These types of interviews have been shown to increase predictive validity by 100% (and much more, according to some studies). What is so great about structured interviews candidates are assessed on specific topics, not questions, feeling things out, personalizing the interview, asking questions as they come up in conversation. You may be reading this and asking yourself, “What is the benefit of a structured interview process? Should I use interview scorecards? What can my company get out of this?”. Well let’s cover all three. Having a structured interview process will allow your team to compare apples to apples instead of apples to, let’s say, bananas. When it comes time to review notes/data after all of the interviews have been completed, the team will be able to go back and take a look at how each candidate fared in certain areas. For example, if interviewer A always interviews on company values/cultural fit, interviewer B always interviews on technical ability to perform on the job, and interviewer C always interviews on the candidate’s appearance and mannerisms, for example, the data will always be comparable. Interviewers A, B and C will have concrete thoughts on how each candidate performed in their respective area and a decision will be easier to make based on what is being sought out for a particular role. We’ve all heard stories about how a candidate was asked the same question by four different people. Not only are you wasting valuable interview time by getting the same answer that the previous interviewer just got, but you’re giving the candidate a crummy experience. No one wants to come in for 3+ hours of interviews and feel like they’re repeating themselves over and over. Whether a candidate gets the job or not, we want to focus on creating an environment and experience that the candidate was happy to go through. From a team/organizational standpoint, if each member of the interview team goes in with a good idea of what the others are interviewing about, they won’t be covering the same thing twice and use the time more effectively. Let’s add even more structure to the process by throwing in scorecards. During an interview, things can quickly get derailed and start heading in directions that may not be useful to making an informed hiring decision. Before you know it, you’ve spent 45 minutes chit-chatting and you’re left with only a few mental notes of what actually transpired during the interview. Reviewing the scorecard prior to meeting with a candidate enables the interviewer to stay on track and focus on obtaining the information vital to making an informed hiring decision based on the pool of candidates. 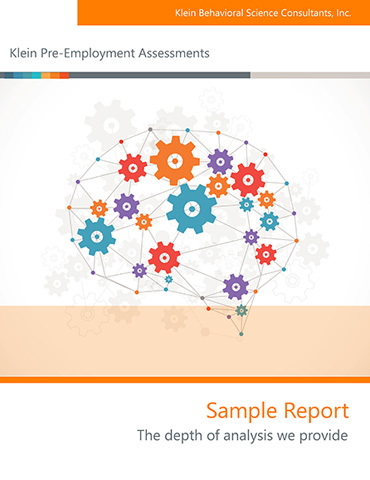 Bottom Line – What Can Your Company Can Get From Adding Structured Interviews & Assessment Testing To Your Hiring Process? Some people’s concern — “What if ‘staying on track’ restricts me from heading down a road that may reveal something important about the candidate?”— It’s a valid question for sure, but can also be solved by having slowly adding elements of the structured process to your organic process. 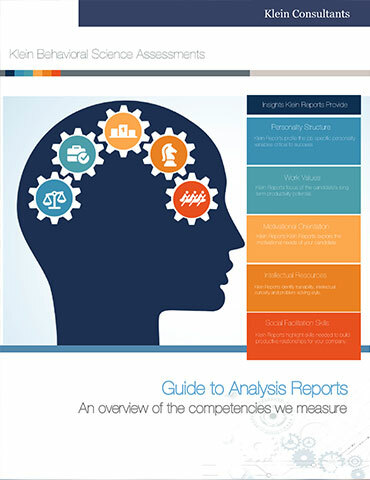 One thing that definitely empowers companies with vital statistical analyisis of candidates in a wide pool is assessment & behavioral analysis. Adding these elements has seen companies in our study see a 40% overall growth in stickiness of employees hired (employees hired maintained employment over 5 years) and a drop in turnover by over 60% as a correlative of adding structured interviews and candidate assessments to thier hiring process. Creating a diverse work environment starts with inclusive hiring practices. 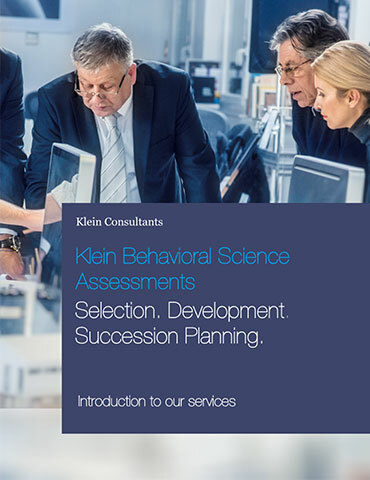 Klein Behavioral Science Consultants, Inc.